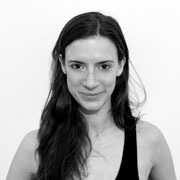 Carys works from London as an independent dance artist. She began training at Swindon Dance before continuing her studies at the Rambert School. Upon graduation, Carys joined the Russell Maliphant Company for three new productions. While with the company she worked as Choreographic Assistant for creations with English National Ballet and Bayerisches Staatsballet, and was merited an ‘Outstanding Female Performance’ nomination in the Critics Circle Awards. Carys currently tours with Michael Keegan-Dolan’s production, Swan Lake, which she joined for the creation of in 2016. In October 2018 Carys also performed with PuzzleCreature. Carys works extensively in the commercial world as both a performer and a choreographer, devising movement for music promotions, film and print work. Other current projects include work with choreographers Adrienne Hart and Roberta Jean.